Focuses on challenges faced in Western states. Every year wildfires ravage forests, destroy communities, and devastate human lives, with only the bravery of dedicated firefighters creating a barrier against even greater destruction. Throughout the 2016 wildfire season, journalist Heather Hansen witnessed firsthand the heroics of the Station 8 crew in Boulder, Colorado. She tells that story here, layered with the added context of the history, science, landscape, and human behavior that, year-by-year, increases the severity, frequency, and costs of conflagrations in the West. She examines the changes in both mindset and activity around wildfires and tracks the movement from wildfire as something useful, to something feared, to something necessary but roundly dreaded. 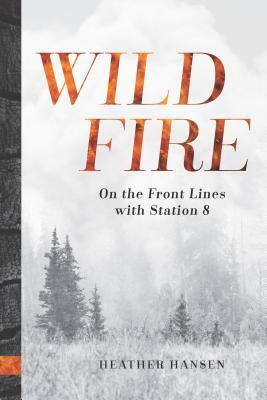 Wildfire shares the drama, hardships, and experiences of the firefighters who try, sometimes in vain, to prevent destruction when a spark flares out of control. Hansen tells the rich and frightening stories of the firefighters themselves and the challenges they face: a safety system struggling to keep up with fire seasons that are lengthening, fires that are becoming more extreme, and agencies that are struggling to cover the bills.